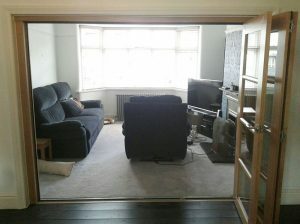 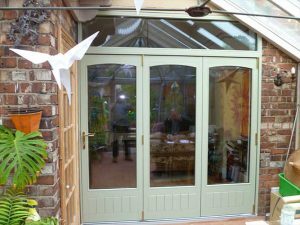 High performance bi-fold doors for a brighter, bigger looking home. 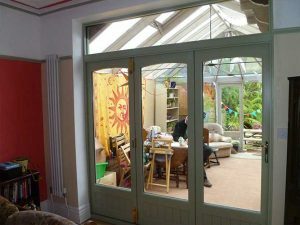 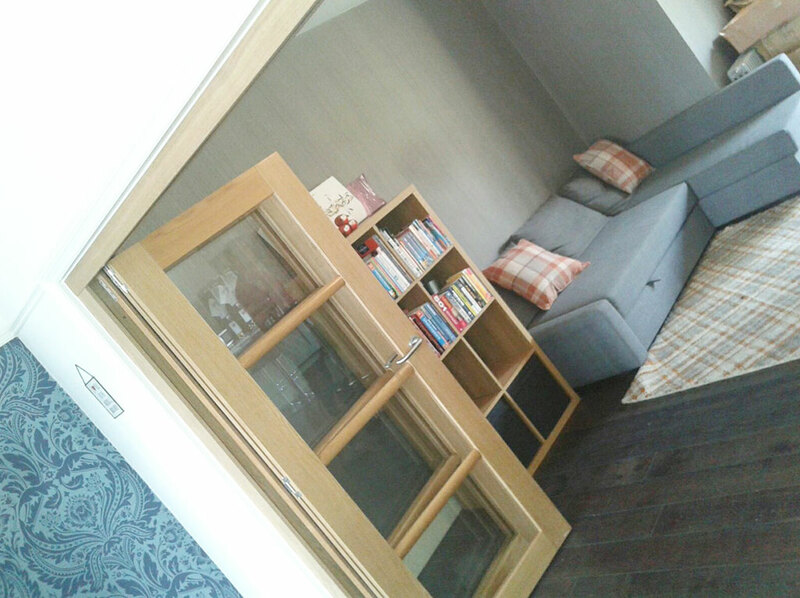 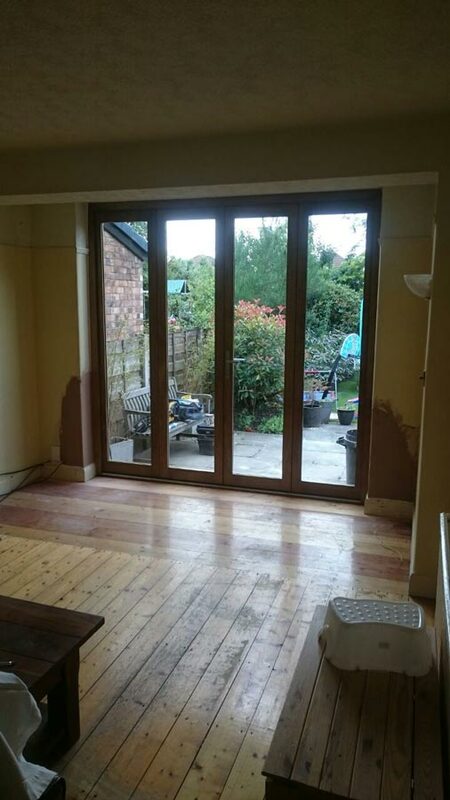 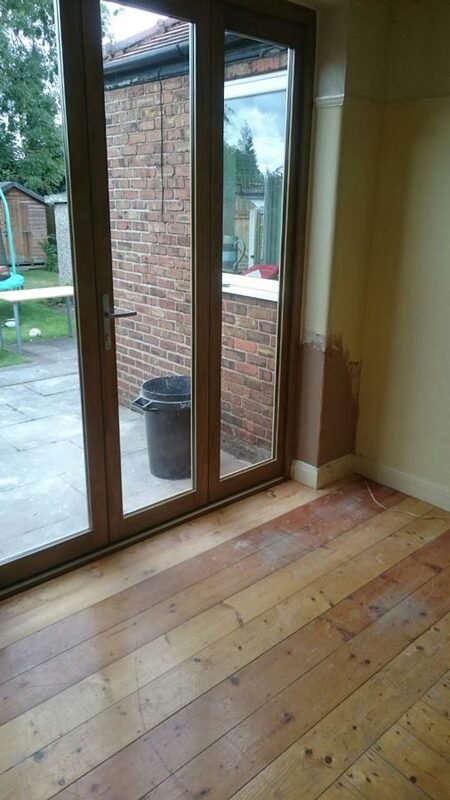 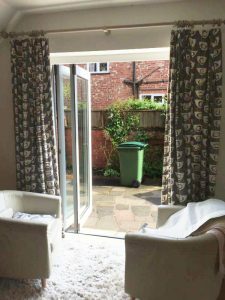 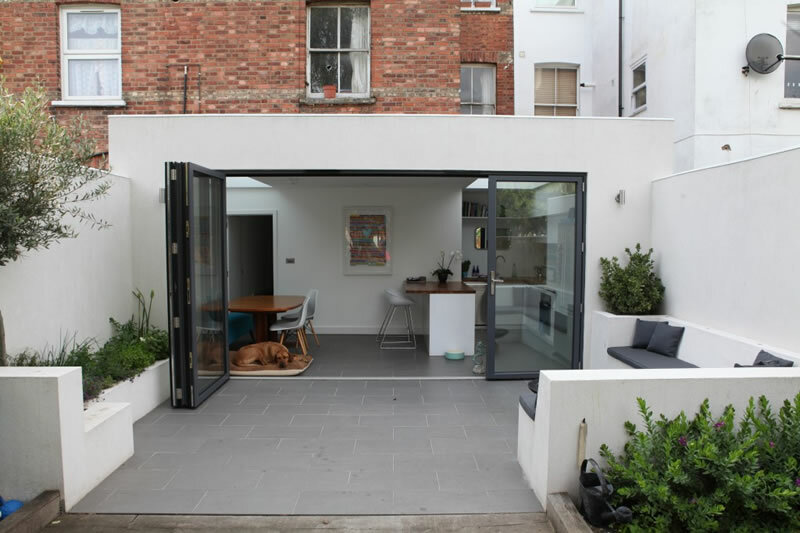 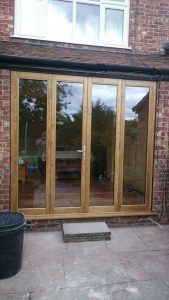 Bring your home and garden / patio area together with a bi-folding door. 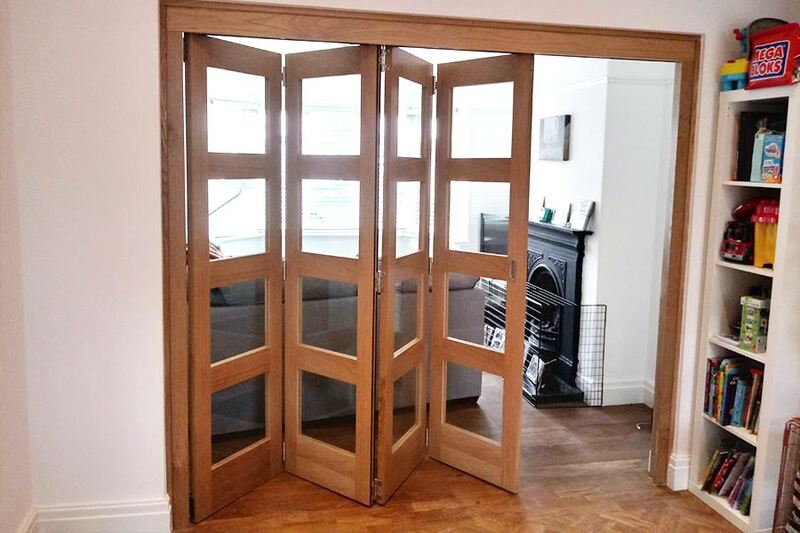 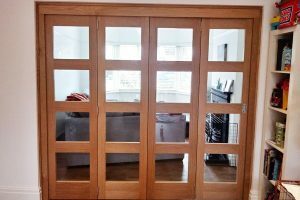 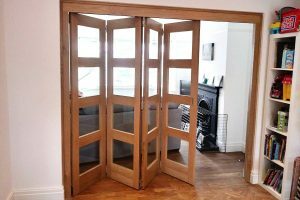 This style of door folds concertina style for a clear opening which provides spectacular views and helps keep your home cooler during the summer months. 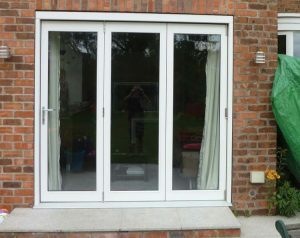 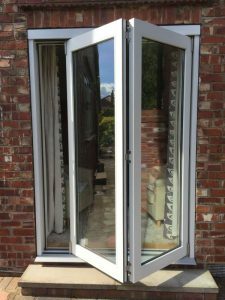 In winter, closed bi-folds give great views to outside whilst insulating your home against the cold. 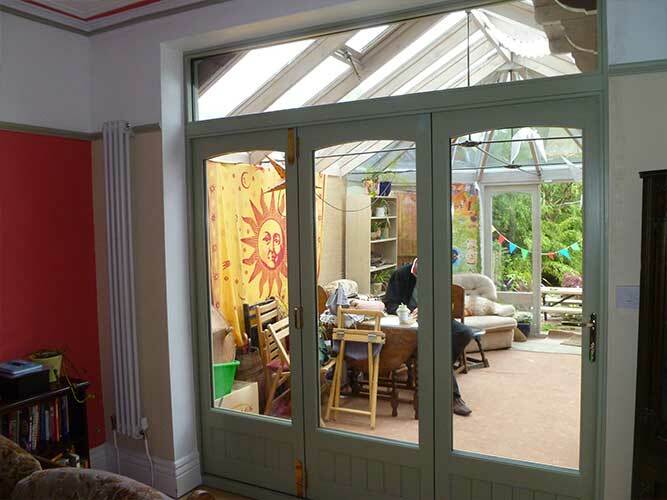 It also lets more light into a room, so you can enjoy a brighter home, even when it’s cloudy. 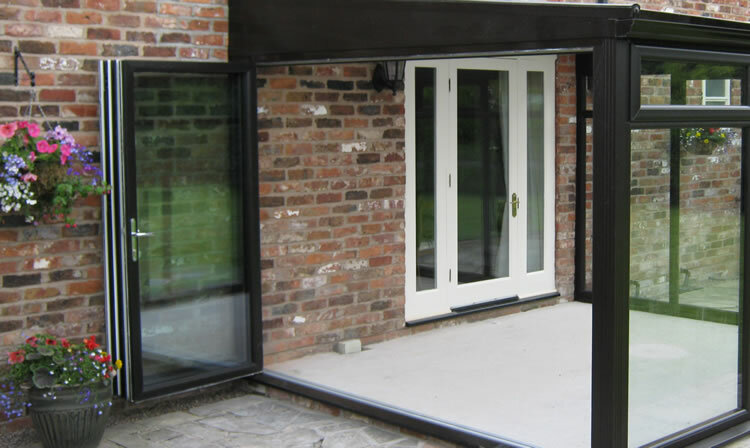 We manufacture and install uPVC, timber and aluminium bi-folds in a wide variety of colours and finishes. 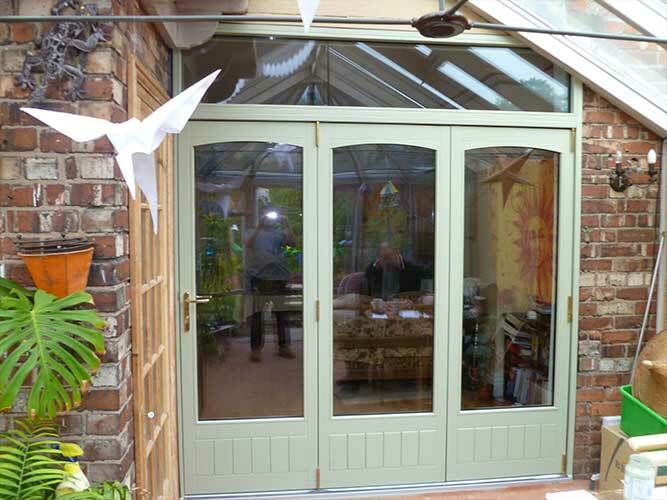 Our uPVC bi-folds use the RAL range of colours, with 1,000+ shades to choose from! 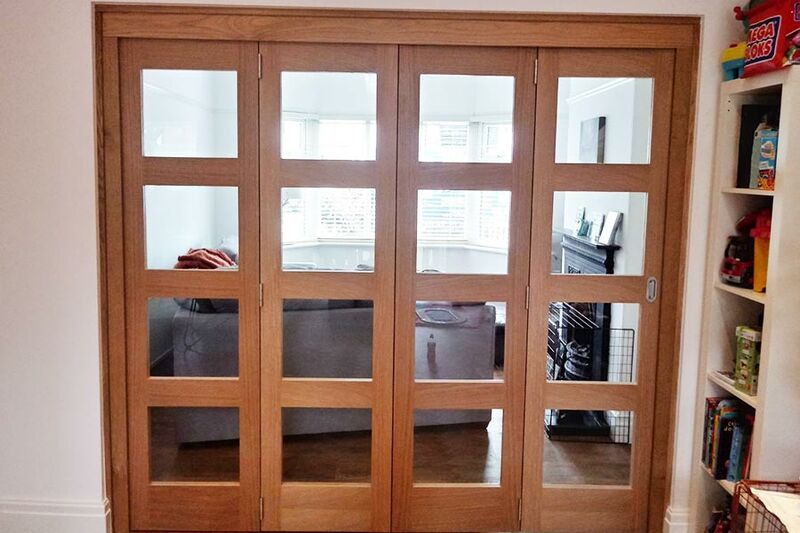 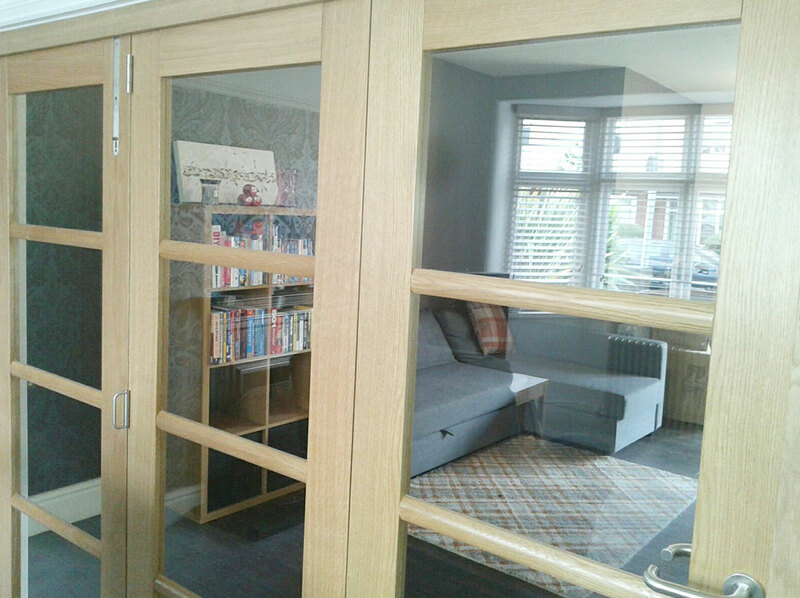 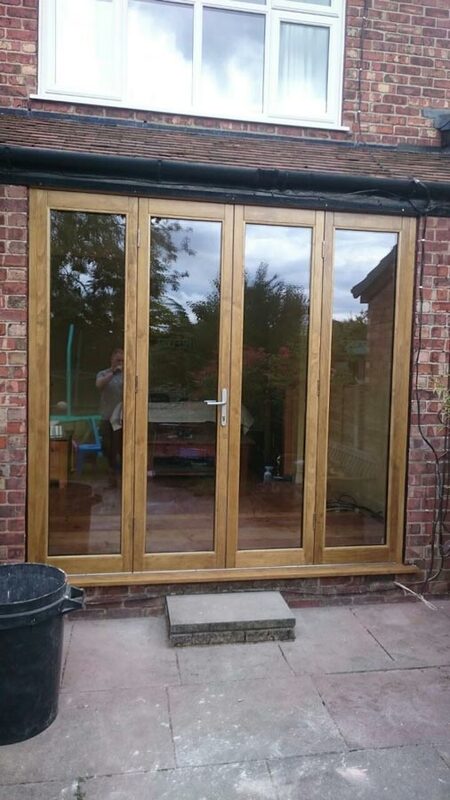 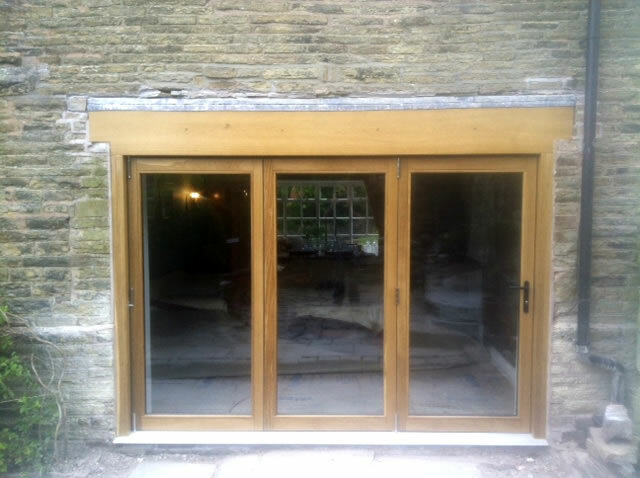 Timber bi-folds can be stained for a natural timber look or coated in an opaque finish. We also offer aluminium bi-folds which, due to the materials strength, can be manufactured with slimmer frames. 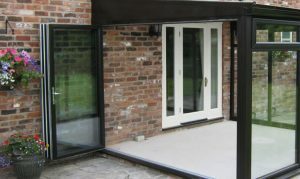 A larger glass surface lets more light into your home and gives beautiful, unobstructed views to outside. 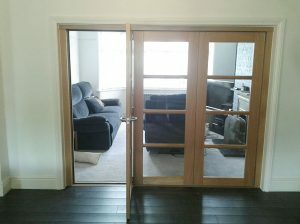 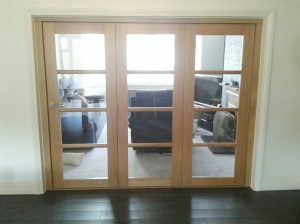 Our bi-folds use energy efficient, Pilkington double glazed units. 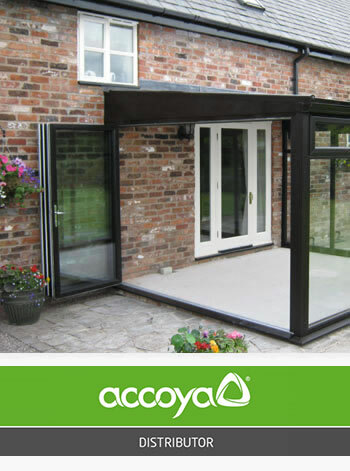 In the winter your home is kept warm and dry through low-e glass and argon gas filled sealed units. 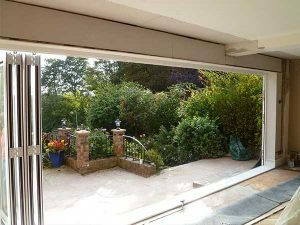 Low-e glass also reflects the sun’s UV rays in the summer to keep your home cooler. 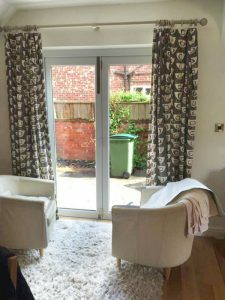 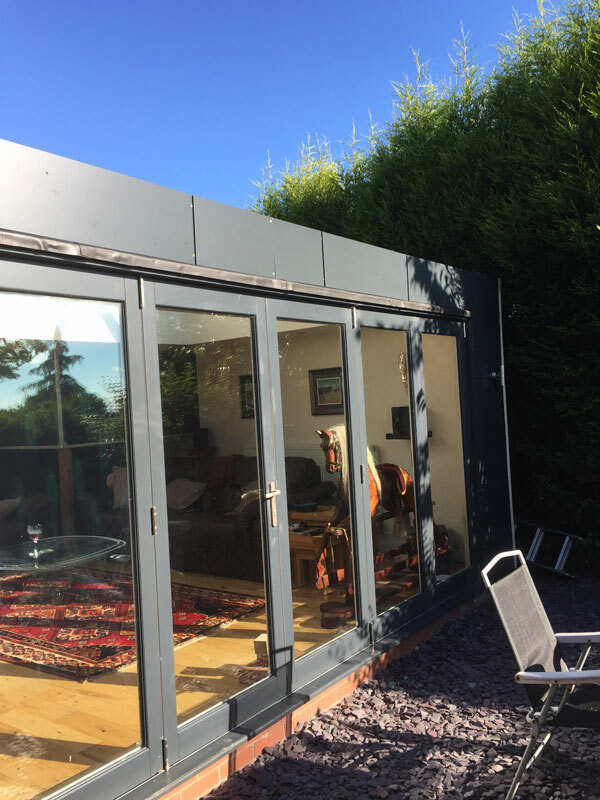 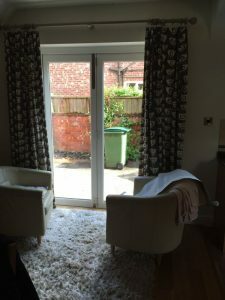 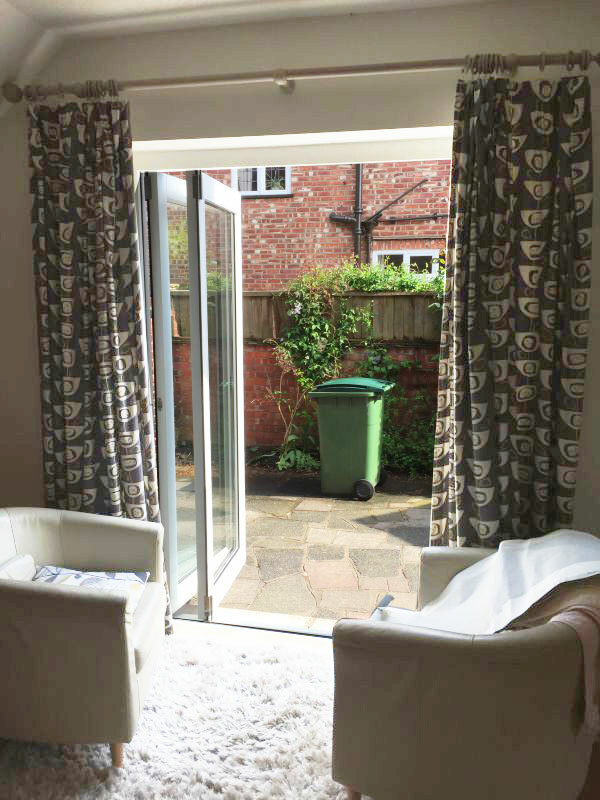 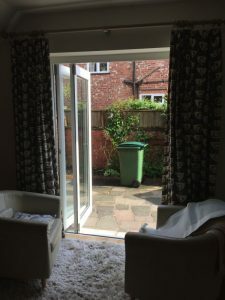 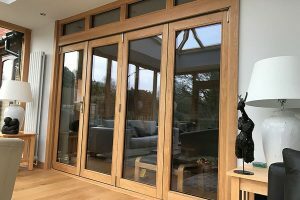 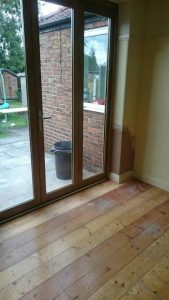 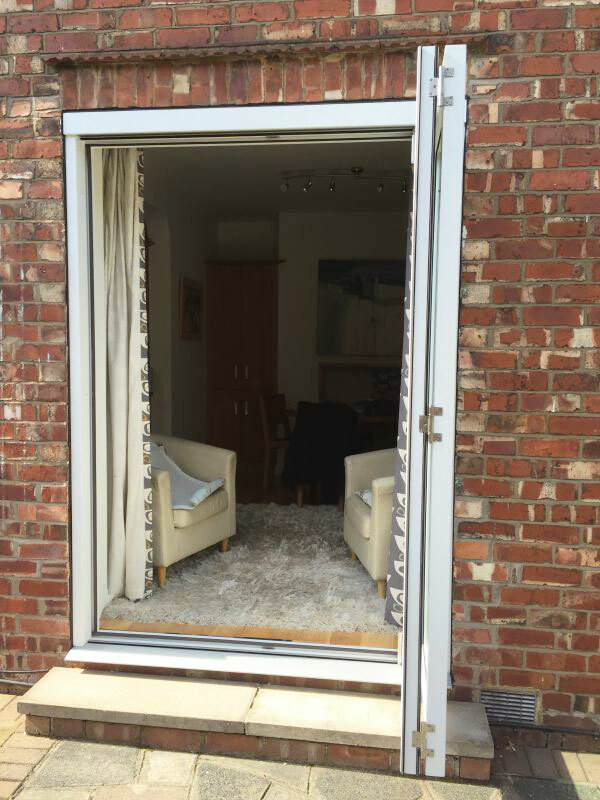 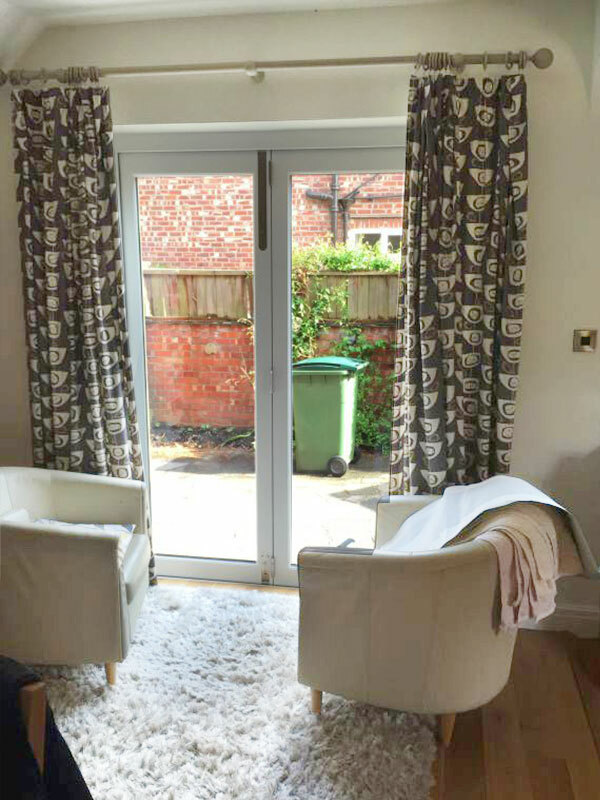 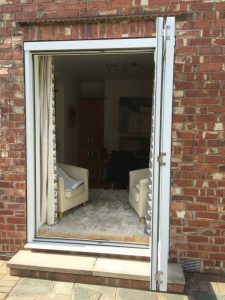 For homeowners working with a slightly more limited budget, the many features and benefits bifold doors can provide remain an affordable addition when manufactured and installed using low maintenance and durable uPVC. 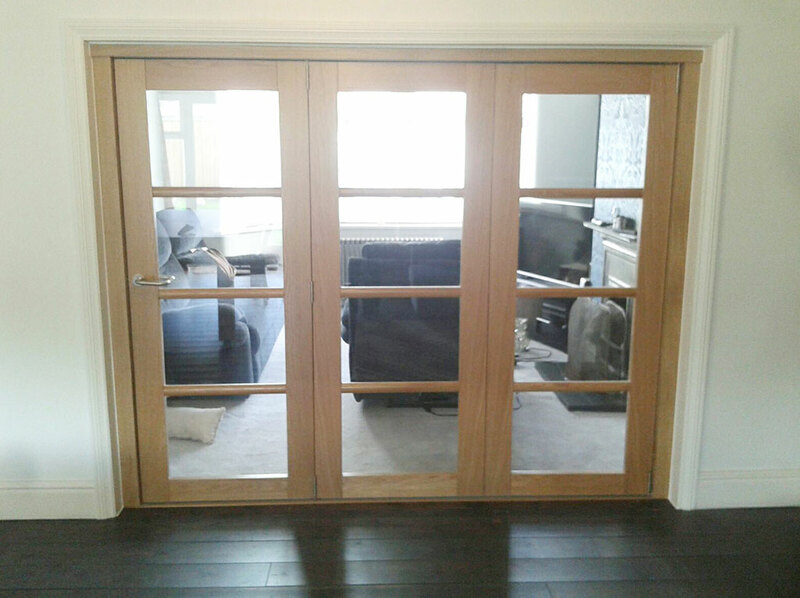 Capable of being configured to open in multiple ways, uPVC bifolding doors are always a welcome addition. 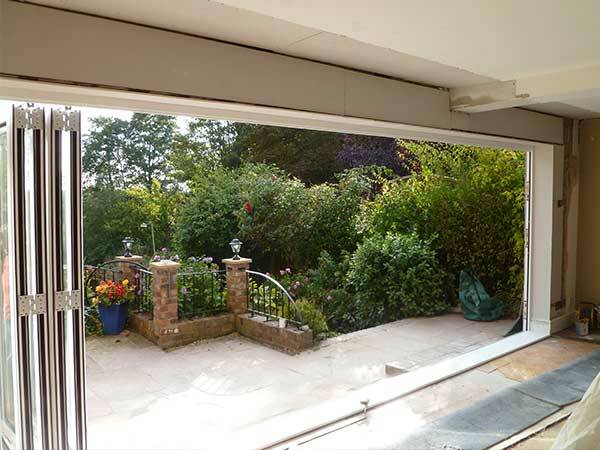 Our uPVC bifolds glide effortlessly along a durable and smooth-rolling track to never impede on homeowner access, giving the impression of an extended home without ever needing you to tend after them. 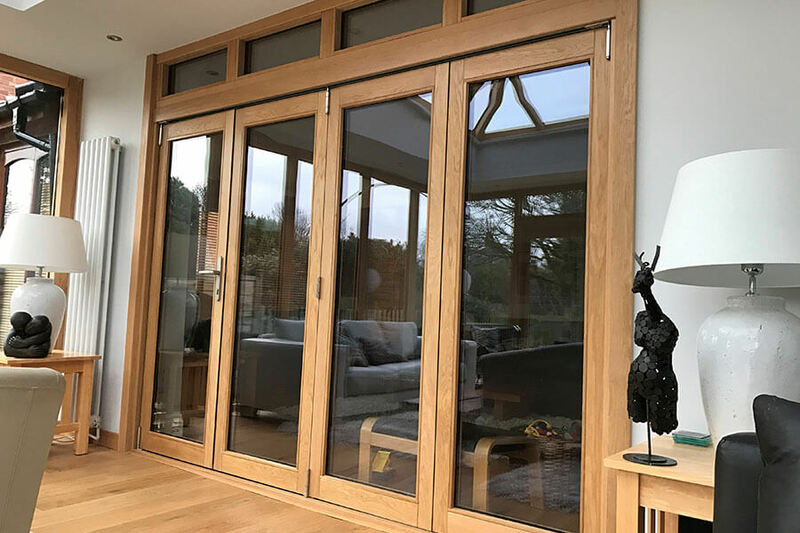 Connect inside and outside and get a brighter, bigger looking home with our uPVC, timber and aluminium bi-folding doors.